Wondering where the inspiration behind your favorite Zombie sims comes from? Want to know where they got that amazing spooky texture? Get answers from the sim creators here! Ask questions in the comments. Swap and share your favorite zombie tales, locations and more creepy stuff. 1. What is your inspiration? Where do you get your ideas? For the last three years, I have built increasingly large and more elaborate haunted houses for Halloween. Last year's “Editor's Picks” featured the haunted house as “Ghoul's Manor.” The zombie room got the best response from visitors, so I thought it would be fun to build a zombie village. My concept was to have a “normal town” setting that was taken over by zombies. 2. Where can visitors buy the things they see on your sim — i.e. favorite zombie stuff/creators inworld (or on Marketplace)? MacGyver Serdyuk is the creator of my zombies, which are very low-lag and have customizable features. He has a vendor just outside the entrance to the village. 3. What is the objective of your sim — i.e. your vision? I wanted to create a free-form, fun zombie shooting place with as few rules and guidelines as possible. I like the idea of allowing others to structure their game as they wish. I try to appeal to kids and casual shooters by offering a safe, PG environment. Many shooters like the constancy of the village design, and have favorite spots to shoot. They also seem to enjoy the lack of danger — I allow shooters to stand on roofs, fly above the village, etc. This setting is different from the more intense sims, where there are complex mazes, damage, etc. That said, I also have contests every week with L$1500 purses to involve the more competitive shooters. I try to keep the competition friendly by having small gradations in the prizes. To keep the game fresh, I also have themed “indoor arenas” that I switch every 2 to 3 weeks, often with their own contests. Themes include medieval castles, Western towns, warehouses, nuclear plants — and now, a haunted house. I have appointed officers to help police the region for violators, who are warned if possible before being banned. 4. Are you doing anything special for Halloween? 5. How long have you been in Second Life, and what is your favorite thing about it? I have been here since April 2007. I have enjoyed building, and now the free-form creativity of making a game that others enjoy. 6. Do you have other recommendations about other zombie locales and your favorite stuff to do in-world? I've been too busy with my own region to visit many other zombie areas. I would encourage people to find an activity that they enjoy, and become good at it. 1. What is your inspiration/where do you get your ideas? My first idea for the sim was to do a city theme, like “28 Days Later,” or even “Resident Evil” and “Left 4 Dead” — great games that I love to play. In the end I decided I wanted to do something that was unique to me. I had an idea in my head and I looked very hard to find the perfect items. Some things I had to build myself, but most things were easy to find. The person who inspired me to do my own was Grimly Darkfold — her sim was so amazing and so much fun that I wanted to try myself. 2. Where can visitors buy the things they see on your sim? — i.e. favorite zombie-stuff creators inworld (or on Marketplace). There are a few people that contributed to my design. The biggest contributions were Grimly Darkfold (Creators of the Zombies) and Lady Nansen (Forgotten Village). Most of what you see can be found there. A couple others like Loki Ball, Novocaine Islay, Furr Burt, P4NDOR4 Quintess, Marisha Matfield, and myself, Mystree Rain. Most, if not all, can be found both inworld and on Marketplace. 3. What is the objective of your sim/i.e. vision? To have a fun, friendly sim with people who enjoy doing what I love to do — kill zombies. Yes, we currently have Zombies dressed for Halloween, as well as Halloween gifts scattered through the sim. There are two gifts each for women, men, kids, and furries! 5. How long have you been in SL and what is your favorite thing about it? I have been in SL for a little over a year. I would have to say my favorite thing about it is the amount of creativity I see here. There are so many amazing sims with fantastic attractions! The sim designs, products designs, the many people you can meet from all over the world. It is rather amazing. 6. 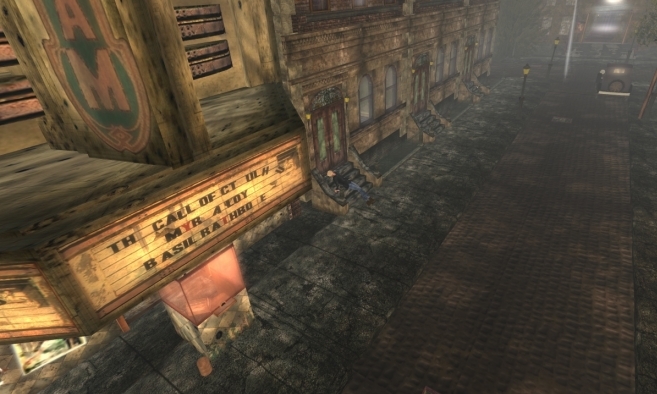 Do you have recommendations on other cool zombie locales and your favorite stuff to do inworld? I absolutely love Grimly's Bloodbath and Beyond. For so long she had the only sim I visited outside of my own. 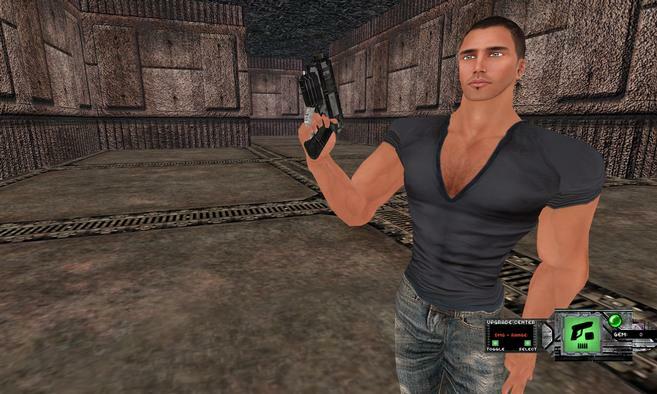 I love to kill zombies and I love to explore Second Life. I have an entire folder full of awesome places to explore that I often find myself handing out to newcomers. I got my inspiration from one of my fav zombie movies, which is Zombieland, and the AMC series "The Walking Dead," along with the feel of the classic movie "Night of the Living Dead." I wanted to keep things in a modern urban setting, just like in the movies, along with a few little extra surprises — like the blood-curdling sounds that the zombies make (Brains! Brains!). Each day I change or add something new. Most people were afraid to leave the safety of the stairs, so I installed a series of overhead ziplines that will take them to a high and safe place to shoot from. There will be more to come as we will be expanding the sim in the near future. People can purchase from a wide selecton of weapons at my gun shop. I have carefully selected the best weapons from the best vendors in SL, as well as fighting clothes and other gear. As people become better at shooting they want the better weapons. My objective is to make sure that anyone who visits my sim will have fun, that's the bottom line. I have a great staff of officers who are more than willing to assist anyone that comes here, and I make sure that each person is greeted and made to feel welcome and made to feel that they are all part of this thing. I am always told by people that they love to come here to just unwind from real life and relieve stress by blasting zombies. I find myself doing just the same. My vision is to keep this a drama-free sim — if you can't find a good laugh here then it does not exist anywhere. Most people who come here talk on voice chat, and it really pleases me to hear the laughter, because that shows me that they are having a great time and that's what it is all about. So, my vision is to maintain that level of happiness for all of the time. The answer to question four is easy! Yes, we are going to have parties all Halloween weekend here at Urban Zombie. We have our own in-house DJ as well as a pretty nice club on site. Trust me — we are going to have a blast. I have been in Second Life for just over three years. The best thing I love about SL is the freedom from RL and the ability to explore things that are not possible to do in RL — the ability to meet and to interact with people from all over the world and from all walks of life. We've met and made some very great friends here in SL, and that's a wonderful thing. The one thing that I can never say is that SL is boring, and that has been proven to me each day for the past three years. As to the last question, my recommendations for other cool zombie sims are as follows: Grim's is a fun place to shoot zombies; the same can be said for The Dead Zone. We are all friends and we all have the same objective, and that is to rid the world of those pesky zombies and have a great laugh while doing so. We enjoy going to biker sims to ride our bikes, but we also love to dance and explore the wonders of Second Life. Please feel free to come here and help us erase zombies from our world, because they just keep coming and coming! The inspiration for the maze came from a few different sources. Megaman Legends, Dead Space, some elements from Doom (unknowingly, I had never played it). It came to me one day many years ago — so I made it. In the region's lobby, right smack in the middle of the landing point on the walls I sell the guns to play the maze with. Just 50L for the HUD to play — the pistol is free. An objective is such an absolute thing. I don't rightly know where I'm going with this but it's going somewhere! You can expect to be challenged at the maze though; bring your buds. Late '07, friend. I ran with a rough crowd in my earlier days... *putz on very cool shades* Digital Worlds, The Bearz, 18th St. Jamels, Pool Boyz. That's all old times though. My favorite thing is reminiscing in groups. It's good to remember good times. 6. Recommendations on other cool zombie locales and your favorite stuff to do inworld? I am quite a slow-coach in Second Life lately. I am usually at the maze checking up on things. The Hive is another zombie sim I know of an old acquaintance of mine runs though. This year's Zindra Expo promises to be a mix of creative and interactive experiences for Residents, as the four regions of ZEXPO are transformed into a land of surprises and innovative creations. Games, contests, rides and daring attractions will all be in the mix, along with art galleries, concerts, live discussions and exotic play areas. ZEXPO is a celebration of Zindra, the sophisticated adult mainland of Second Life. 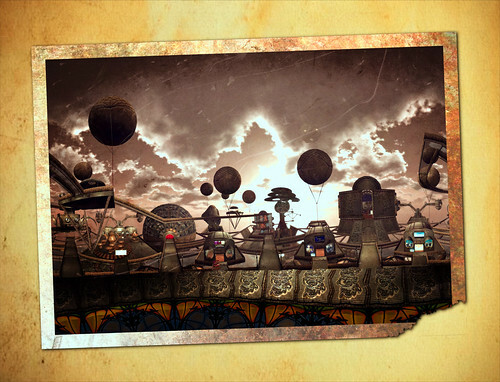 Zindra will host this Forbidden Carnival, offering 10 days of fun. Be there as ZEXPO 2011 celebrates Zindra and everything adult in SL. To visit these sites, you must 18 years of age or older. 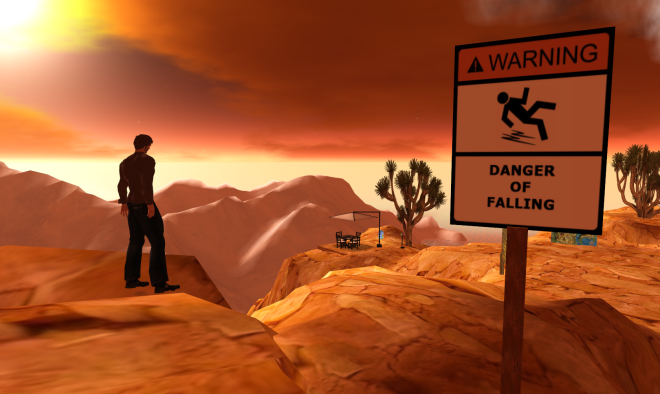 Check out Kaesor GLiNX's journey through Second Life in the Flickr group. How has your look changed through the years? Share your story! What's your Second Life journey been like? Share your story in the group pool and check out today's selection by misspreiss. There’s no place like home. Especially when it’s spacious, luxurious, and rent-free! We’ve got just the place for you to rez your hat. Imagine living in a home with an open floor plan, seaside views, and a sparkling pool just steps away from your property. Now envision having L$5,000 to spend on furnishings, lush landscaping, and a new wardrobe for your new, luxurious lifestyle. Sound good? Now is the time to enter our “Linden Dream Home Sweepstakes”—where you could get a Linden Home, a L$ furnishing bonus, and free Premium membership for a year! What does the Sweepstakes prize include? 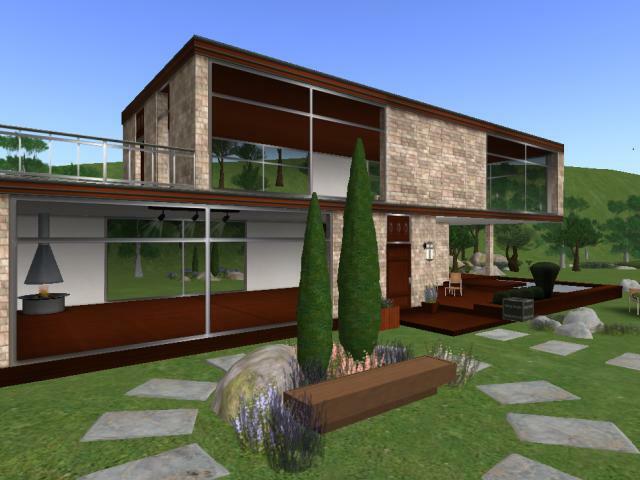 Second Life Residents are invited to complete our Land Survey between May 2 and May 16. That’s it. Complete the survey and you’re eligible to win. For more details, visit the Sweepstakes wiki page. What else could you get? The above passage opens "Halloween at the Graveyard," a poem that appears in the new SL web-based publication Wordmonger. 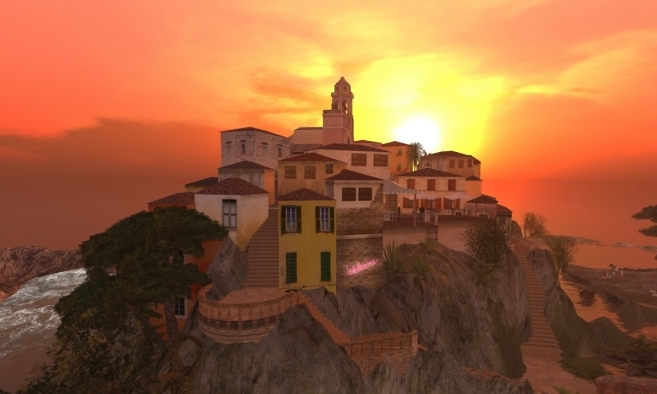 This new literary site features original visual poetry, micro-fiction and short stories from writers who frequent Book Island in Second Life. Check out Wordmonger to read the full poem and other literary creations from the SL community. Read even more coverage of this new publication on T Lee Harris' blog Comments from the Peanut Gallery. Winterfest 2010: Let's Get the Party Started! Deck the halls and jingle those bells! 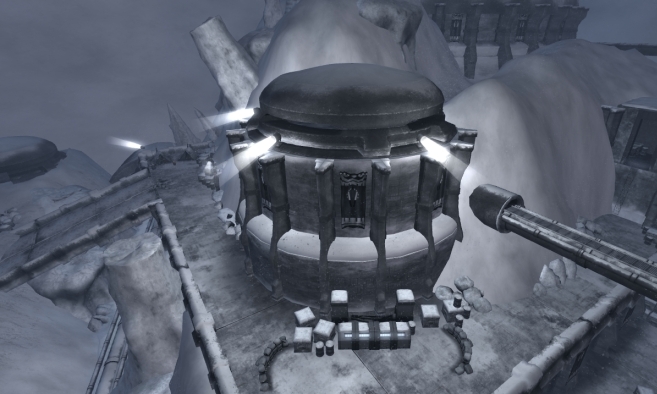 It’s time for Winterfest 2010, a week-long tribute to wintertime activities in Second Life. Winterfest starts today, December 10, and runs through December 18. Join us at the Global Online Hockey Association’s six wintry regions, complete with games, free shopping, live music, and good times. Start by dropping in at the Neutral Zone anytime. So, what’s happening at Winterfest? The kick-off party begins at 12:00pm Pacific time today, December 10, with a live concert by Mankind Tracer, followed by a snowman-building contest, ice fishing, and more live music. And that’s just today! Check out the full schedule here to find your can’t-miss events and activities. And if you’re looking to buy, sell, or browse inworld winter gear, then take a look at the Winterfest category on the Marketplace. Wishing you a happy Winterfest! It's time to celebrate the winter holiday with friends -- both old and new -- in Second Life. The Internet's largest, community-created virtual world is filled with cool attractions, events and themed parties that capture the true spirit of the season. We're rounding up some of this year's holiday highlights for a new Winter-themed category in the Destination Guide, set to debut later this month. You'll find plenty of places for snow-filled fun (think ice skating, snow sledding, and skiing), as well as holiday-specific attractions and events (such as parties and live performances). In addition, December is filled with numerous grid-wide scavenger hunts, where you can join others on massive quests to seek and find free holiday-themed virtual goodies. There's also the annual Winterfest, a week-long, snow-filled celebration with live music performances, winter sports activities and even snowball fights, hosted on the Global Online Hockey Association's wintry venues. Look for highlights of this year's event, which begins Dec. 10, to be included in the new Destination Guide category. A full schedule of activities will also be published on the Secondlife.com Blog soon -- so stay tuned for more info! You can help us round up this year's hottest (or should we say "coolest") spots. We'll be monitoring our official Facebook page for suggestions from Residents about their favorite places, but venue owners can submit their own locations or events for consideration using the Destination Guide Suggestion Submission Form. Our editorial team will review all entries for possible inclusion in this category. Curious about vampires? You can learn more about Second Life’s vampire community in a special Resident-hosted event, held Monday, Nov. 7 and Tuesday, Nov. 8 from 9 a.m. to 4 p.m. (Pacific) in the official Vampire Forums. Your event hosts for this special event are Second Life Residents with experience in vampire or dark-themed communities and/or blogs. Plus, check the Forums starting Nov. 2 to read interviews with these hosts as they answer questions and share their real feelings on a variety of topics, including their struggle with stereotypes and the sources for their creative inspirations. You might even read a bit about what some of the hosts really think about the “Twilight” series and the current rise in popularity of vampires in popular culture. Spike Clemenceau: Live in Forums 11/7 12-2 p.m and 11/8 2-4 p.m.
Klint Clowes: Live in Forums 11/7 and 11/8 9 a.m.-4 p.m. Toxic Ling: Live in Forums 11/7 from 12-3 p.m.
Simone Fugazi: Live in Forums 11/7 from 2 p.m.-4 p.m.
Suzanna Soyinka: Live in Forums 11/8 from 9 a.m.-4 p.m. Your event hosts are Second Life Residents with experience in vampire or dark-themed communities and/or blogs. They’ll be standing by in the Vampire Forums to share favorite inworld locations and general insights into the vampire community. The vampire event hosts will be on call in the community from 9 a.m. through 4 p.m. (Pacific) on Monday, Nov. 7 and Tuesday, Nov. 8. This is your chance to ask the experts any questions you can dream up. Want to share your own creations, insights or experiences? 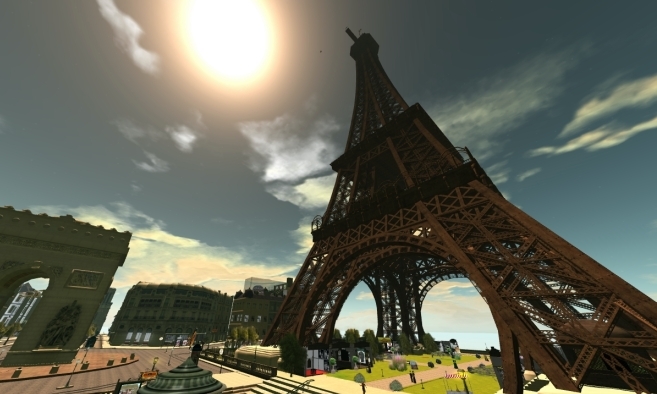 All participants can post and share images of favorite Second Life locations and communities. Join the forum conversation and ask the experts your own questions directly during this special event! The Second Life editorial team is looking for great romantic and Valentine’s Day-themed events and locations to showcase in the February edition of The Sandbox newsletter, as well as in the Destination Guide. Is your favorite store or location participating in or preparing a special Valentine’s Day hunt, event or promotion? What do you think are some of the more beautiful and romantic spots in Second Life? Share your favorites with us here no later than 5 PM (Pacific) on Jan. 10, 2011 and we’ll check ’em out! Don’t forget to include the SLurl link so that others can find your place or event, too. We also have a special opportunity for those venue owners or groups coordinating grid-wide or store-wide Valentine’s Day hunts. For the first time ever, we’ll be publishing some “first location” clues and hints to share with The Sandbox readers. If you are organizing a Valentine’s Day hunt and would like to participate, please email the Editorial Team or leave a comment with basic information on your hunt no later than 5 PM (Pacific) on Jan. 10. Interested in learning more about virtual worlds? Check out the University of Washington's Certificate in Virtual Worlds, developed in partnership with the University of Washington Information School. Get more information about the program here. We’re offering a limited-time deal on some of our most popular items — Private Islands and Homesteads. For the first time, new land or additional land is available without the usual set-up fee. From October 21 to 23, you can take advantage of this special and become a Landowner if you’re not already — or maybe bump up the size of your land. 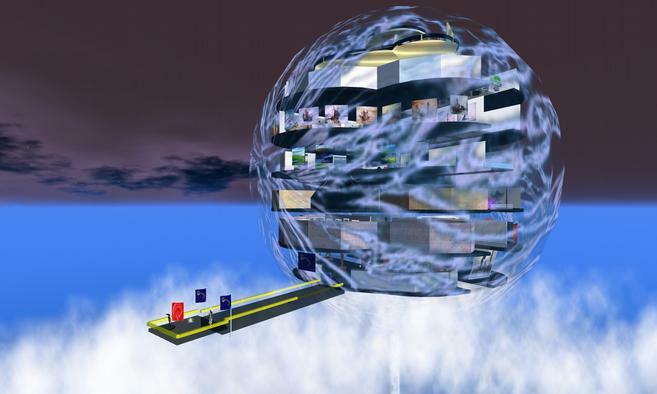 Land is the mainstay of Second Life. Without Land, the places where you interact with other Residents wouldn’t exist. From animations you love, role-play and games, socializing, showing off your latest outfit, and your own home and vehicles, to shopping, business and educational experiences — Land is what makes it all possible! Take advantage of this land sale now! Some terms and conditions apply. Want more info? Head over to the information page and have a look at the Terms & Conditions, FAQ and how you can order your very own Island without a set-up fee. This Weekend Only: Save 50% off Premium Membership. New benefits are only the beginning! We’re making Second Life Premium better than ever with new added benefits — and, for a short time, membership is now 50 percent off*. Now is a great time to sign up! In addition to saving 50 percent, members will enjoy more rewards than ever — including exclusive, Resident-created gifts. You’ll also gain access to Premium-only Sandboxes, special areas inworld where you can build objects, rez purchased items and meet other new members — all on specialized land where you are free to express your creativity. Plus, you’ll get your own Second Life home to furnish and Premium-only access to Live Chat support. You'll also enjoy a L$1000 sign-up bonus and weekly L$ rewards to spend however you like. Read more details about Premium benefits here and keep your eye out for even more benefits on the way soon. as a Premium member. What style will you choose? *Terms & Conditions for 50% discount: This limited-time discount offer is available only for memberships on the Quarterly billing plan. Discount will be applied to the first quarterly billing cycle only, and all future charges will be at the regular Premium price. To qualify, Second Life members must have an active Basic account or create a new Second Life account. Discount offer begins on Friday the 9th of September at 12:00 pm (noon) Pacific Standard Time (SLT) and expires on Monday the 12th of September 2011 at 08:00 am Pacific Standard Time (SLT). One of the most acclaimed and creative spots in Second Life is the Nemo trilogy, consisting of three distinct virtual world locations inspired by the three natural elements of water, earth and air. Designed by Sextan Shepherd, this impressive steampunk-themed creation takes inspiration from the works of author Jules Verne and even inventor Nikola Tesla. The Destination Guide's Brett Linden recently toured the Nemo trilogy with creator Shepherd, who shared his thoughts about this ambitious project. Watch the video below to view the tour and hear the interview. There's also full text of the Q&A below. 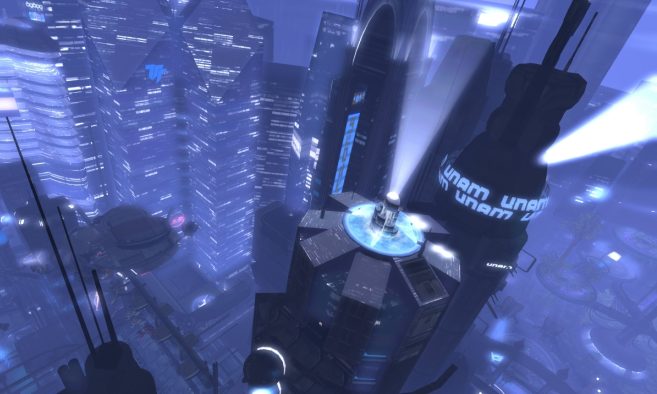 DG: Your trilogy of NEMO areas has been among the most acclaimed and popular spots in SL. What inspired you to undertake this ambitious project? SS: I have always liked the steampunk style in books with Jules Verne that I read when I was a child, and with movies such as "Steamboy" or "The Illusionist." So, when I started to build in SL I built steampunk stuff naturally. Concerning Nemo, it all started with the mechanical manta ray. I built it just for fun, then I thought it was cool so I built the shrimp and the horseshoe crab. Once the creatures were built, I decided to build a room to put them in, and then a tunnel, an entrance and then yet another room. Nemo 1 was born! For the rest of the sim, each build inspired another one...and then another one. I don't plan anything. I just build with instinct. Once a build is done, I don't know what I will make next until another idea comes. I am lucky...I have a lot of ideas! DG: Jules Verne-inspired fashions and steampunk imagery seems to be particularly popular in Second Life. Why do you think that this genre has caught the interest of SL residents? SS: My definition of the steampunk style is "a romantic kind of old timer science-fiction" and I think that it's what people like: the romantic side with that old-fashioned architecture -- the mystery of science and the imaginary part of science fiction. DG: In creating NEMO, did you work alone? Or, were there other developers and designers that helped out? SS: I work alone as much as I can. I build and make all the textures myself but when I need a very specific item, such as a 45° gear wheel or a specific prim movement, I call on my friends who are talented sculptors and script writers. Morpheus Merimann has drawn some specifics sculpties for me, two gears, a column and a boat wheel. You can't miss those beautiful sculpts. I use them everywhere! 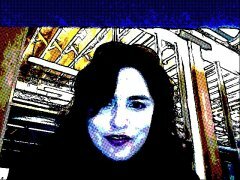 Christy Mansbridge, bestmomo Lagan, Lancelot Joubert, Tigerfly Wardark and Elenia Boucher has developed some specific and complex scripts for me and they were always by my side to bring me advice and support. DG: What other designers and developers have inspired you in SL? SS: To be honest, I spend all my time building and I rarely "go out," but I remember that I had a real shock when I saw Grey Kurka's work and AM Radio's artistic projects. DG: The level of detail within each of the NEMO areas is astounding! How long did it take you to construct each section? SS: I have spent about 40 hours building each section, so it's about 120 hours for the whole SIM. I have a day job and a family, so I can rarely spend more than two or three hours a day on SL. I have learn to work fast, so half of the time involved in the building process was spent on Photoshop. DG: Did you hide any secrets or obscure details that might be missed by casual explorers? SS: Well, there are a few items hidden, some high-quality freebies, but you must have the mind of an explorer to find them. But this question just gave me the idea of building a secret laboratory hidden somewhere in Nemo! DG: What was the most challenging part of the building the trilogy? SS: The most challenging part? Well...when I finished Nemo 1, I thought that I had reached my building and texture skills limits. Because of the success of Nemo 1, the challenge for me was to find the courage to start building Nemo 2, but I also had the feeling that I didn't have the right to make an error or to build something not as good as Nemo 1 was. DG: The third installment of the NEMO trilogy only recently debuted in SL in mid-August. Was that design informed by any learnings from the previous two builds? SS: Of course. The learning process is something that never stops. Each previous building showed me the errors that I must avoid to progress. There is always something to improve in a new build compared to a previous one. For example, I have improved the number of prims involved and the glass textures. DG: Many people have been commenting, in particular, on the "reflection" effect found in Alnitak's House of Mirrors. Can you shed any light on how that came about? SS: I will tell you my secret.. I didn't know it was impossible to make a mirror, so I just did it! The idea came while I was searching and working on some glass effects and textures. The idea was so simple, was right in front of my face! So, I tried it.. and wow! It was working! I was the first person surprised by the result. DG: What's next for you and SXS Design in SL? SS: I am gonna leave the megaprims and big structures for awhile to focus on something smaller..much smaller! I will launch a Steampunk Jewelery Collection in a few weeks, so for now I will just explore the world of nanoprims. Looking for more cool places to explore? Check out our Destination Guide or submit your own! The Month of Machinima Event Starts Today! Attention all film fanatics in the virtual world! If you’re in the mood to see some great machinima filmed in Second Life, then c’mon down to the LEA Theater today at 10:00 a.m. SLT to see the winning selections in the inaugural Month of Machinima (MoM) event, presented by the Linden Endowment for the Arts (LEA). To help kick off the event, Linden Lab’s Senior Director, User Experience Rhett Linden and the LEA board will be in attendance to talk about the arts in Second Life, the 13 films selected for the May event, and what’s next for the LEA’s community events and installations. for a sneak peek into what you’ll experience at today’s event! If you like it and are inspired to tweet about it, spread the word on Twitter using the #SLcinema hashtag. The objective of MoM is to promote Second Life machinima, encourage the creation of new work, and showcase existing work to the community and beyond. It serves as an opportunity to introduce Residents to the machinima art form and to support the machinima community to continue to create Second Life films for everyone to enjoy. MoM will be a recurring monthly event with juried screenings of community-created machinima so you can participate and view new films every month. Also, the LEA Information group is open to the public—feel free to join to learn more about the organization’s future events. You can pick up information in the MoM info boxes at the LEA Theater and infohub. 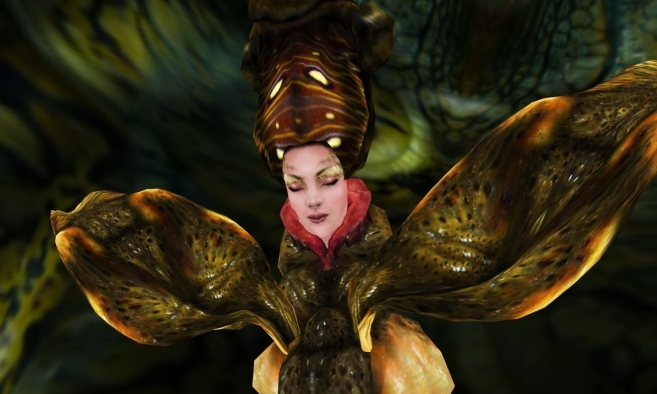 The next deadline for machinima submissions is May 10 for the June MoM. The theme is Mixed Reality. Maximum run-time is six (6) minutes (SL machinima has to be included in your mix). Interested in participating? You can learn more about MoM and apply to have your machinima included in the event here. Films that have already been submitted, but not selected for a previous MoM, will be eligible for consideration in future events if they adhere to the theme, length restrictions, and other requirements. We double-dare you to check out "The Dare!" in Second Life. Ready to visit? Visit The Dare! in Second Life or check out other Haunted attractions in the Destination Guide. Check out the Crossworlds Gallery to visit 13 floors of sculptures, paintings and photography from some of SL's best artists. 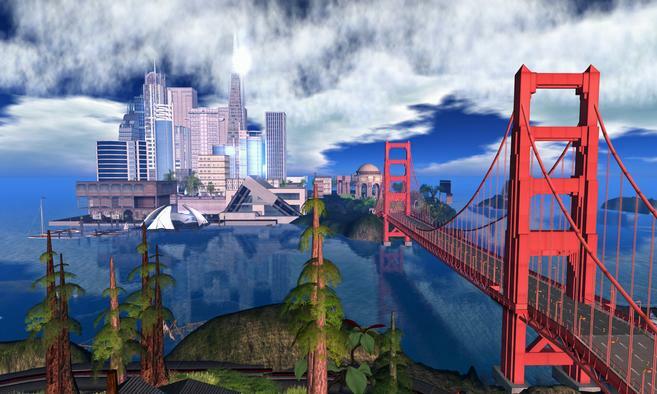 Second Life is a virtual world imagined and created by people just like you. And, while it's always fun to create, it's also rewarding to explore and appreciate the artistic beauty and architectural wonders created by others in the SL community. Inworld photography is one of the most popular hobbies inside Second Life and getting started is as easy as clicking a single button. In the SL Viewer's Advanced mode, just use the Snapshot button to take a picture. Then, you can then share it with friends on Facebook or post it on Flickr, where thousands of SL photographers have contributed over 1 ½ million unique images that document the beauty and quirkiness of SL. For some useful photography tips and tricks, check out this wiki page to help you get the best shots. Looking for great places to photograph? Watch this video to discover ten of our favorite picturesque spots to get you started. We've also put together a new Photo Hot Spots category in the Destination Guide that you can use to quickly visit each of the locations featured in the video. 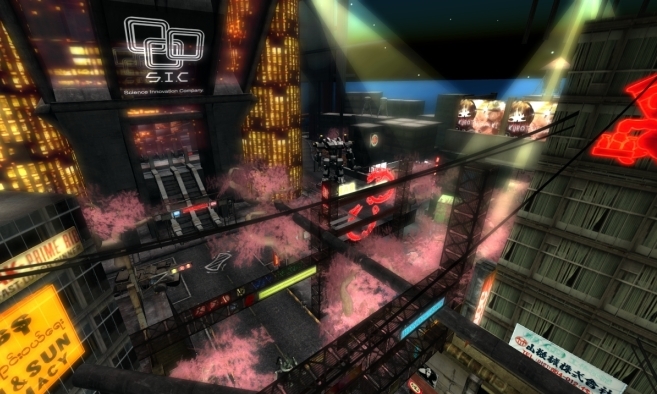 One of the longest running and most popular communities in Second Life is InSilico. This cyber-punk roleplay region is filled with hi-tech high-rises and hidden elements that make for excellent imagery. For anyone with an interest in showing off the absolute best of Second Life to your friends, this is THE place to snap and share. Another “Blade Runner”-esque region to roam is S.I.C. -- that stands for Science Innovation Company. By the looks of this place, you can just bet that there’s an elaborate back story to explore in this hi-tech, post-apocalyptic urban landscape. So, why not capture it in images? Scout out your shots by traveling the dark urban streets as you pass by flashing neon signs and battling bots. And, after the shoot, hang out at the cool little hamburger joint. Yep. 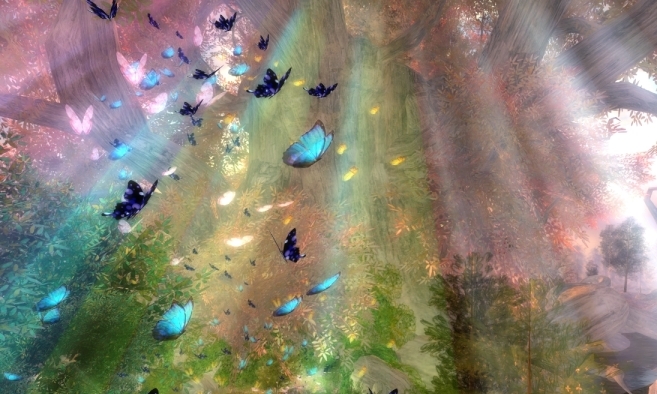 It’s a weird and wonderful world we live in--and even more so in Second Life. How can words alone explain the strange shapes and textures that you’ll find twisted throughout Parallel Worlds? This extraordinary experience by Claudia222 Jewell is the perfect place to practice your photography skills. Zoom in on one of the many gooey globs that float in the air as you glide from surreal spot to spot--some combining snakes and circuit boards. Is there supposed to be a hidden meaning here? Maybe or maybe not. Either way, you’ll not want to miss a single shot. If you can brave the blizzards, then you’ll get some fantastic photographs at the Antarctic Stronghold, a primary telehub for the Vanguard Armed Forces’ base in a remote, icy region of Second Life. There’s lots of shots to snap here, but be careful not to interrupt the combat roleplayers that frequent this popular spot. Ready to travel back in time? Then, visit beautiful, historic Innsmouth--a troubled New England coastal town where darkness prevails and danger lurks around every corner. Be careful as you wander the rain-soaked streets as you snap spooky shots. Do you love secret gardens? If so, then you’ll want to get lost at Alirium, a relaxing place to immerse yourself in unspoiled beauty across all four seasons. As you wander through each garden area, you’ll stumble across shots that are just too good to pass up. So, for your next spot, check out old Italy. La Perla II is a beautiful old Italian village with its own unique Mediterranean styles. Explore the shops and hillsides as you scour the village for just the right picture. Strike a pose on one of the cliff pathways to remember the moment as the Mediterranean sun sets behind you. In this economy, traveling to some of the world’s greatest cities is out of reach for many of us. In Second Life, not so much. I know. Maybe it’s not exactly the same as the real thing, But, how can you resist traveling to San Francisco to see the Golden Gate bridge when it is just a mouse click away? Or, visiting Paris to see the world famous Eiffel Tower? What about walking the rocky edges of the Grand Canyon? You can even walk right off the edge. Just make sure to grab a good shot on your way down. Of course, these ten spots are only the beginning. There’s so much more to explore. Check out the Destination Guide for even more photogenic hot spots. Special thanks to Torley Linden for his fantastic photographs! Teens, Welcome to Second Life! Following up on our previous announcement, today we are transferring accounts and land held by 16- and 17-year-olds in Teen Second Life to Second Life's Main Grid. 13-15 year old users not affiliated with an organization will not be transferring, but we are excited to see you inworld when the time comes! We are beginning now and it will take a few hours to complete. Once it is done, Teen Second Life will be officially closed. If you have any questions, then check out the Frequently Asked Questions page on the Second Life wiki which provides additional details about the transition. I would like to give a warm welcome to our new Main Grid Residents! You are a creative and resourceful group, and I've been amazed by what I've learned from you over the past few months. I have seen what you've accomplished on the Teen Grid and I'm excited to see what the future holds for you now that you have joined the larger Second Life community. Welcome, and I'll see you inworld!